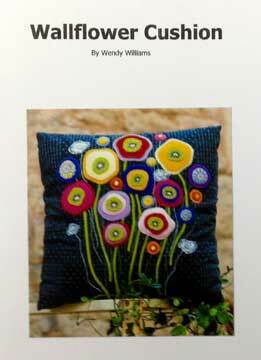 Wendy Williams project using wool felt to create the gorgeous cushion. 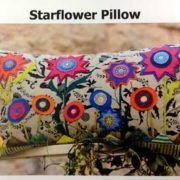 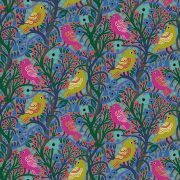 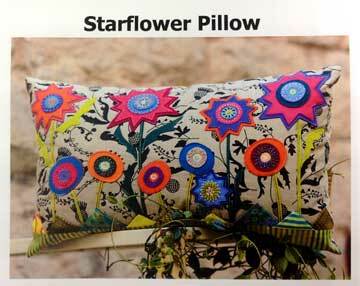 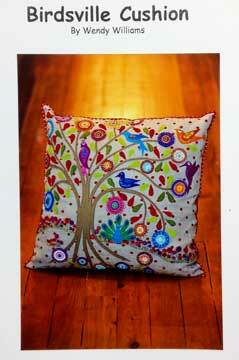 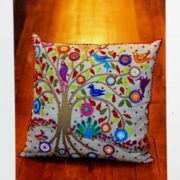 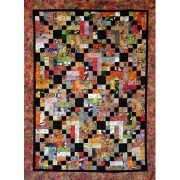 Wallflower Cushion uses a combination of hand applique and machine piecing to create this gorgeous project. Wool felt is used for that special effect. 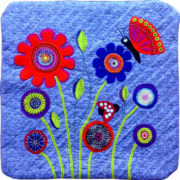 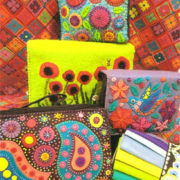 The Kit includes the pattern, the wool felt needed in the project, and the fabric used to construct the cushion.